Estate Planning Whether you have basic assets or substantial wealth, you need a will and a few other critical documents in place. Criminal Defense Too many drinks, involvement with the wrong people or other circumstances can lead to trouble with the law. Bankruptcy If debt is overwhelming your life, contact our firm today so that you can get the relief you need. Family Law We help men and women resolve issues related to divorce and other family disputes. When you need professional legal guidance to solve a problem and protect your future, it can be hard to decide where to turn. It is natural to wonder whether the lawyer you will hire will truly put your interests first — and no one wants to overpay for legal services. Wherever you live, work or need to deal with a legal matter in Central Mississippi, you can turn to me, attorney Cody Gibson, with confidence. Each client is important to me. I will treat you with care and respect. My fees are reasonable, and I will be glad to provide a free consultation to talk through your concerns and options. Once we start working together, I will stay responsive and answer your calls personally. I have also helped numerous men and women get through divorce in the best shape possible. I have experience with numerous other family law issues such as child custody, child support, and visitation. I have experience in setting up conversatorships and guardianships as well. My experience extends to personal injury claims, sports law and other types of civil litigation. 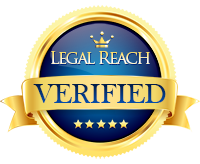 Whatever your legal challenge, I am here to help you directly or refer you to another lawyer who is prepared to work diligently on your case. Do You Need A Hinds County Estate Planning Lawyer? Legal Concerns Anywhere In Hinds, Rankin, Madison, Warren Or Surrounding Counties? Call 601-407-9190. Whether your situation calls for a skilled Jackson area probate lawyer, a criminal defender who will work hard for the best outcome, or an advocate on another legal issue, I encourage you to contact me anytime. What you tell me will be confidential, and I will do everything possible to answer your needs and enable you to move on with your life.